Timeless, classic and casual, there is nothing like your favorite pair of blue jeans. They are comfortable, and at times inseparable. The perfect pair of blue jeans is a major tenet of a well-versed wardrobe. Dressed up or down, denim is a time-honored staple. 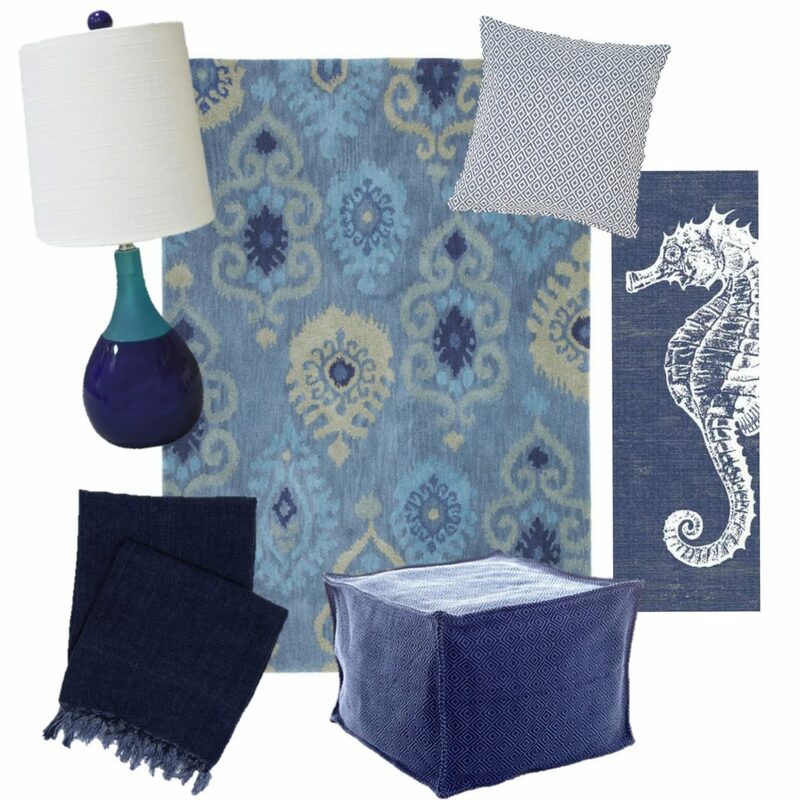 Likewise, adding a dash of denim to your beach home is guaranteed to bring everlasting style to any space. Add textural interest and layer it, as a not-quite-neutral alternative to whites, grays, and beiges. 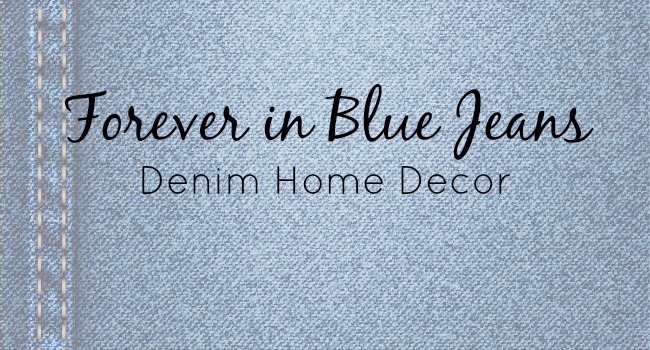 Quite simply, denim home decor is going to be your favorite look – just like your can’t-live-without pair of jeans. Here are a few ideas to help you stylishly bring this timeless classic from your wardrobe into your home decor. Since the color indigo is often considered the new neutral. It makes sense since this gorgeously familiar color does go with most everything. Every room in your home can benefit from the comforting, adaptable look the hue has to offer. 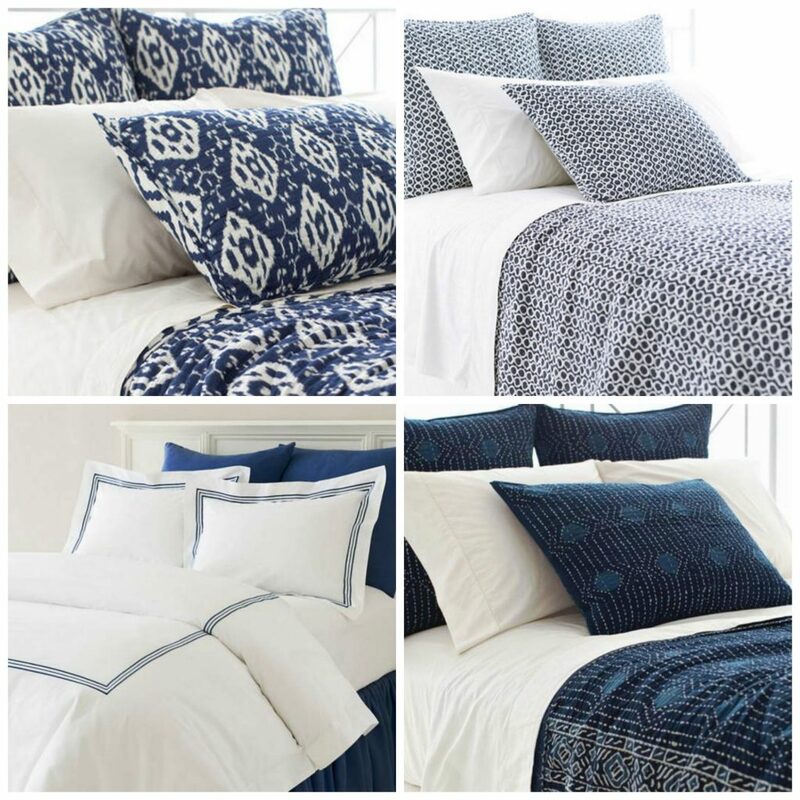 From crisp whites with refined edging to gorgeous patterns, stylishly incorporating the denim feel into bedding is as comfortable as the materials themselves. We love how the vivid blue graphics burst across crisp white backgrounds. These pieces can beautifully layer with other French blue coordinates, or easily contrast with the colors of your choice. It’s fun to refresh your bathroom coordinates on occasion, and there is no look more quintessential “beach” than the combination of classic white with deep blue. Denim is right at home in this space! Cozy rugs, cushy throws, unique wall hangings, and colorful accessories offer unlimited opportunities to add denim to your living room decor. 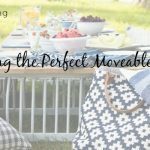 Indoor/Outdoor denim poufs can also be used in a playroom, on the patio, or any other space in need of additional seating, an ottoman, or a second coffee table. The dining area may not be a place you’d expect to add the casual look of denim, but with thoughtful application, it can be quite stunning. 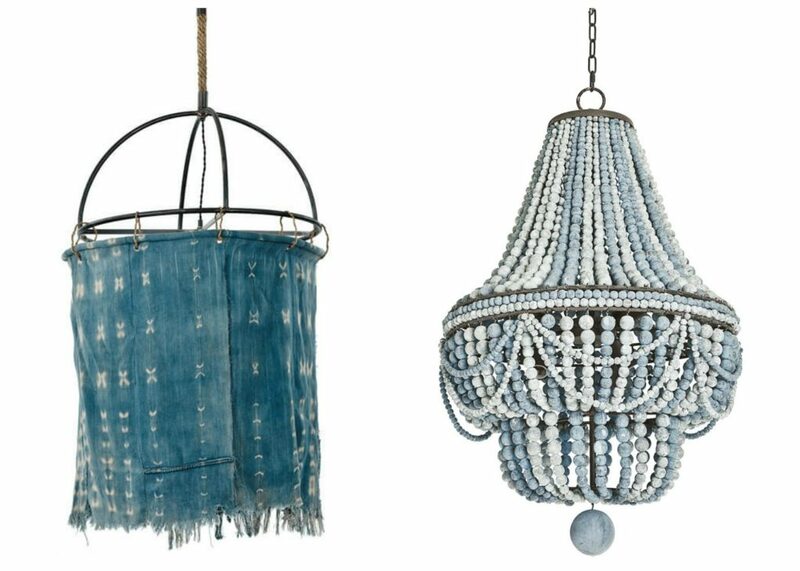 Your guests will surely compliment your edgy style when you swap out your chandelier with one of these gorgeous options. Denim is relaxed, comfortable, and classic and so American. 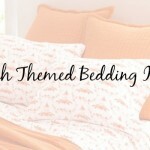 It can be dressed up or down and can serve as a “new” neutral. It’s only natural that this timeless look so effortlessly transitions from wardrobe to home accessories. 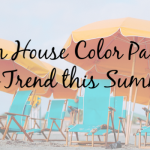 We can’t wait to see how you incorporate it into your beach home! 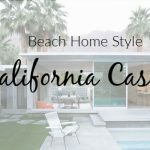 Be sure to tag us on Instagram, @cottageandbungalow.com.